Poscp helps your whole team to capture ideas, exterior the best ones and turn them into product specs that your development team can use, and then put all these on a product roadmap that shows where you are really stand and where you're going in the future. It will help to integrate with those tools which you already use and save your money. you are running a large company or one that is growing, then you must require an efficient tool to not only manage your product orders but also your product’s inventory. If your products are being sold online and on different websites and locations, then you need a unique way to keep an online management system that is automatically updated with sales. Here we offer you the best system is a tool called POS. where you can manage all your products from one location! The easy way to import & export customer lists! Payments Can Be Received In Cash As Well As through Credit, Debit Cards. Easy to understand and user panel. Excepteur sint occaecat cupidatat non proident, sunt in culpa qui officia deserunt mollit anim id est laborum. Excepteur sint occaecat cupidatat non proident, sunt in culpa qui officia deserunt mollit anim id est laborum. Excepteur sint occaecat cupidatat non proident, sunt in culpa qui officia deserunt mollit anim id est laborum. In coming time, more than ever before, most of the work can be done through browser because there’s web apps for almost everything, and has increased the ratio of work from mobile devices, these apps have beautifully designed interfaces, and work together to make your online life easier. Now you can view your all customers from mobile app/ website, not only view you can even add them and take order on mobiles. No additional labor or work, just more orders! we try to removed roadblock from the paths of employees in order to help them succeed. This extends beyond managing people to empowering and engaging people.The POS system keeps track of the future order, printing it to the kitchen on the appropriate day and time. 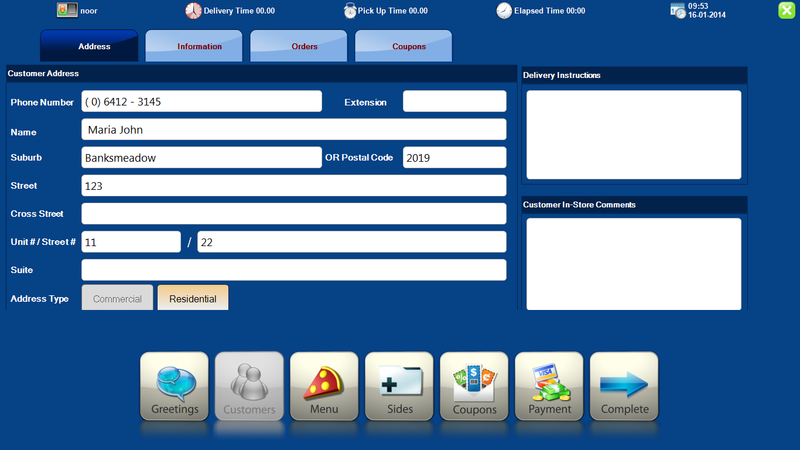 by using POS system you manage your all future orders in a beautiful way. NOT TO TOOT OUR OWN HORN, BUT WE'RE KIND OF AMAZING! Business is much like a game in many respects. It should be fun to play, but ultimately the goal is to do well and win. As a player in the game, you must be able to identify the different success factors that will help you accomplish your goals.It is time to bring your team into the process and you need to have your priorities in order, Most teams long for to be sure they are doing the right thing at the right time. Nothing is more confusing than being faced with numerous tasks, with no idea how to handle them. Giving your staff a simple tool, and showing them how to apply it to any situation, will surely get them off to a GREAT start.